It’s been a busy couple of weeks over here figuring out all the things I should do while I still have insurance. Oh, the possibilities…. First, I made appointments at all my regular hangouts to make sure I was in the clear of any cavities, odd looking moles or any lady issues. ALL GOOD! Second, I met up with my general practice doctor to get loaded up on all my needed shots. When we went to Colombia back in March I already had my Yellow Fever and Typhoid vaccines, so this time all I needed was an updated Tetanus and Pneumonia vaccines. Now I’m good or whatever the Caribbean throws my way! I also talked to him about fun things like what we should keep in our first aid kit while we’re sailing. Lucky for us, Dr. Fagelman is a sailor himself and completely understood the concerns I had. There are tons of “marine” first aid kits out there, but anytime you add the word “marine” into the mix, you’re going to pay a pretty penny. He confirmed my suspicions that I didn’t really need one of those marine kits and wrote me a few prescriptions for things I may need on board when medical care may be a few days away. I left with prescriptions for a sea sickness patch, two EpiPens (just in case), UTI pills, yeast infection pills and travelers diarrhea medication. You never can be too safe on all those fronts. 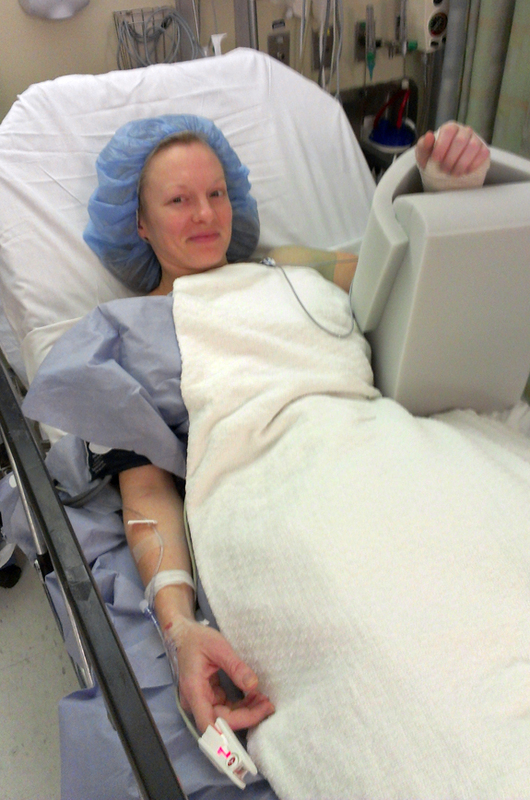 Lastly, I thought I may have surgery on my wrist – just for fun. My wrist started bothering me way back when I thought it was a good idea to compete in the New York Triathlon. It got a lot better and then it all of a sudden started really bothering me again. Given that it is probably a good idea to have fully functioning extremities while sailing, I thought I’d better get it taken care of now.